BOI has been developing mobile software since 2005! In 2005, PDAs (personal digital assistants) were the predominant handheld devices on the market. BOI started developing mobile software for Windows Mobile devices and has evolved with technology to develop cloud based services that can be accessed with any modern smartphone, tablet, or internet connected device. 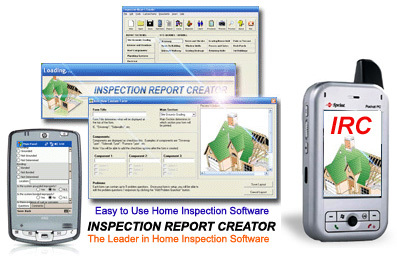 The image below is a throwback to the mobile Inspection Report Creator software that home inspectors use in the field to collect data and write up home inspection reports. (since then, this software has been ported over to a cloud-based service that can be accessed from computer, tablet, or smart phone).